No more guesswork when it comes to sizing up those big catches. Integrated spring scale is calibrated for pounds and kilograms. High-grade stainless steel shaft and jaws provide superior durability and corrosion resistance. Heavy-duty jaws open wide and automatically lock when trigger is released. 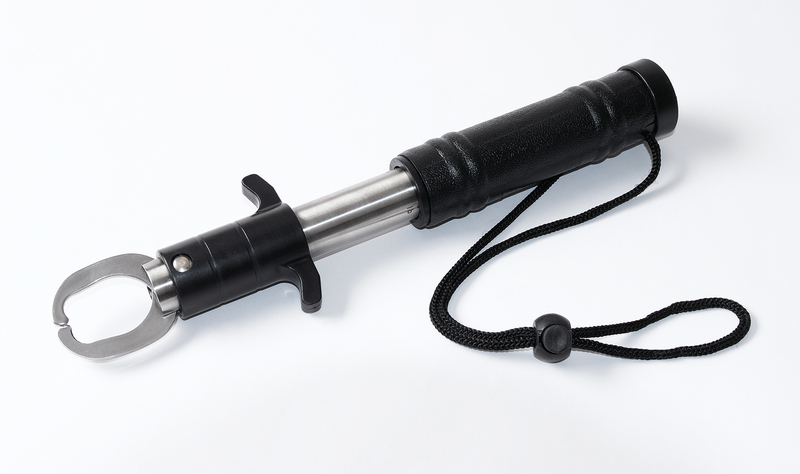 Other features include an adjustable wrist lanyard and soft-touch textured handle for a sure grip, even when it's wet. The handle grip rotates a full 360 degrees for optimal positioning and control and includes a built-in measuring tape.